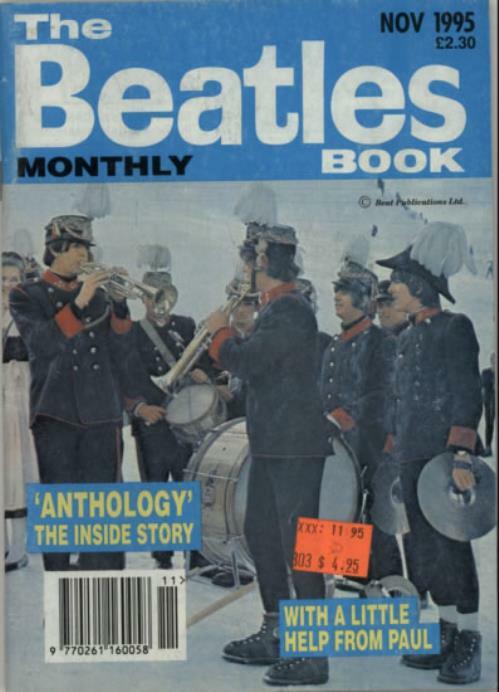 THE BEATLES The Beatles Book No. 235 (Superb UK official A5 monthly magazine from November 1995 with forty eight pages packed with information, many rare photographs & interesting articles & with a great cover with a US price sticker on the front. Apart from some light wear to the cover this copy is in excellent condition).